Sylvia Beach was influential in James Joyce’s life. She was a young American, who, after inheriting $3000, moved to Paris and started a small English-language lending library and bookstore. It was called Shakespeare & Co., and it became famous as the home away from home for some of the greatest writers of the 20th century. 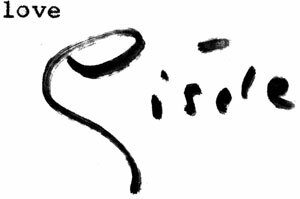 In 1922, after years of editorial labour, Sylvia Beach under the imprint of her bookstore, published James Joyce’s Ulysses. it was often a thankless task, and the venture almost bankrupted her, but because of her, James Joyce’s masterpiece was able to see the light of day. She was the long-time partner of Adrienne Monnier, whose French bookstore was located just across the street. 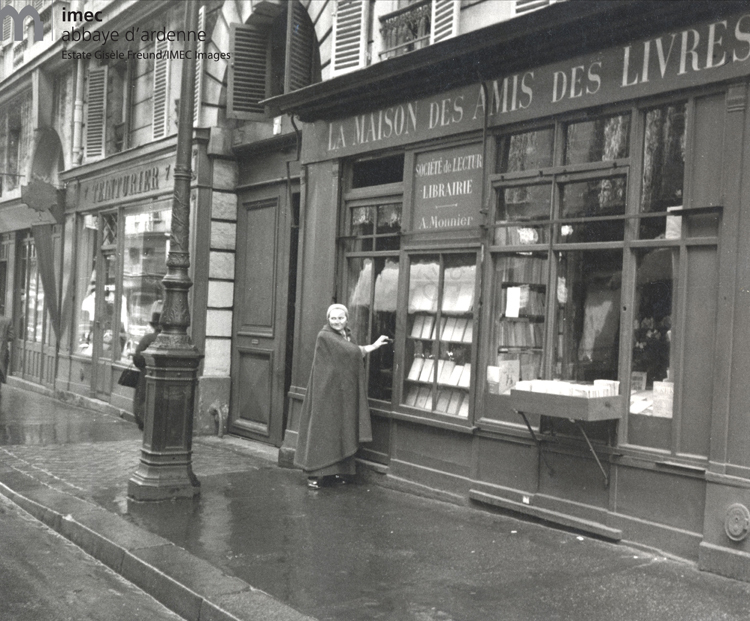 Adrienne Monnier ran one of the busiest bookstores in Paris: La Maison des Amis des Livres [the home for the friends of books]. She was not only the friend of books, but almost every other literary person in Paris as well. When Sylvia Beach came to Paris, she came across a pamphlet published by Monnier and sought out her bookstore on 7 rue de l’Odeon. They became lifelong friends, and for sometime, partners. In 1929, Monnier published the French translation of Ulysses, and her magazine included selections from Finnegans Wake. 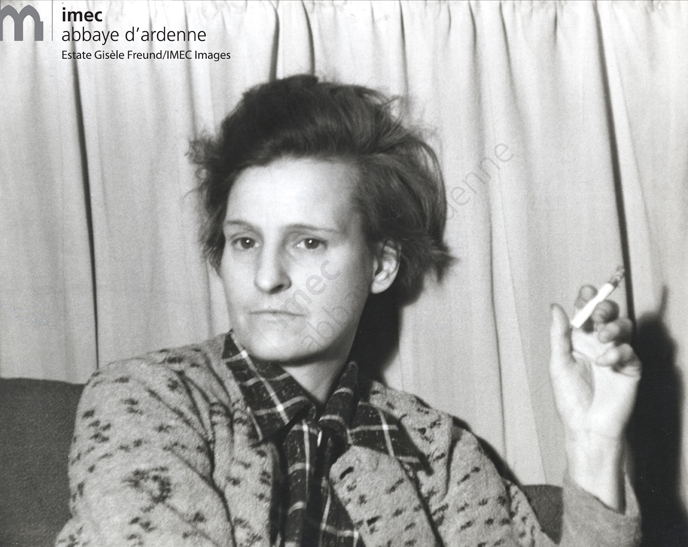 When Gisèle Freund fled to Paris in 1933, Monnier took her under her wing and introduced her to Paris’s literary figures, including André Malraux. Although Freund replaced Beach as Monnier's partner, the three of them remained close friends and often lunched together. In 1956, Sylvia Beach wrote to Freund thanking her for letting Beach use her photographs in her memoir, Shakespeare & Company. Sylvia asks Freund to charge at least a little money for the rights to print the photographs and then offers advice on how Freund might cure the migraines from which she suffered. Beach ends with, "Yours affectionately." 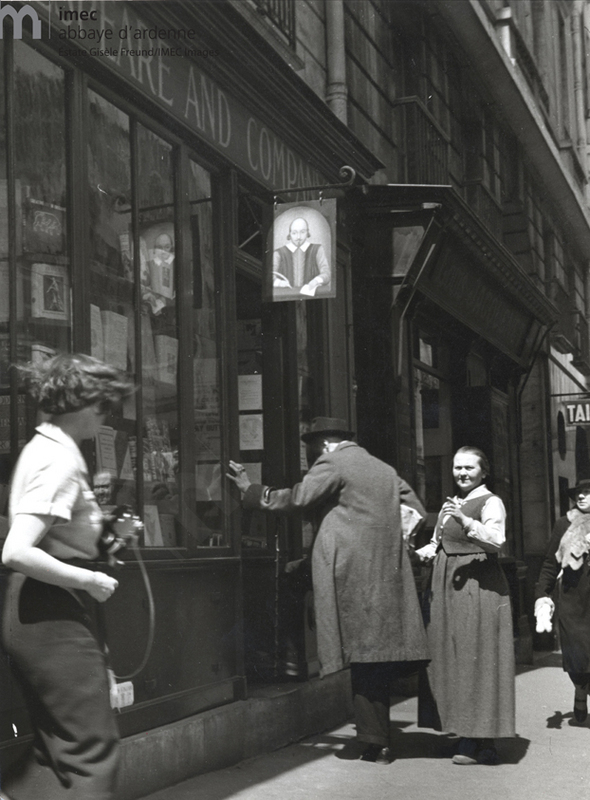 This is the only photograph of Gisèle Freund our collection–we catch her head turning quickly, camera in hand, ready to shoot a photograph of Joyce entering Shakespeare and Company. 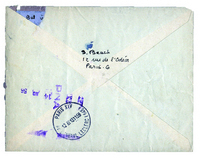 Monnier had arranged for Freund to be married “just on paper” to Pierre Blum so she could stay in France legally. Monnier knew how much Joyce hated to be photographed--and how superstitious he was--so she told Freund that if she wanted to photograph Joyce, she should use her married name when asked him for permission to photograph. Joyce loved the fact that Freund's married name “Blum” was similar to that of Leopold Bloom, the protagonist of Ulysses. 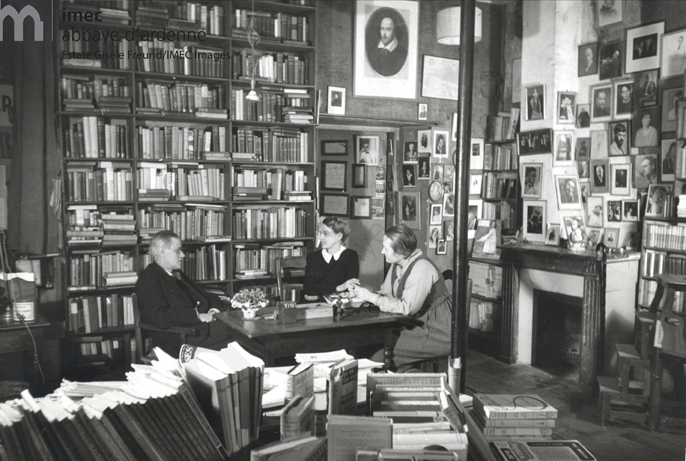 Freund captured some of the only images of Joyce in Shakespeare & Co. with his publishers. By this time, the story of the plucky young American bookstore owner who published the most famous novel of the 20th century when no one else would touch it had already become legendary.